Leslie has some gorgeous ideas for wrapping up those special valentine gifts. She dressed up some basic kraft paper with a water colored heart and string. Simple, but gorgeous and just easy enough to get done before tomorrow. Even if you don't have a special Valentine's Day gift that needs wrapping, the idea is cute for a birthday gift later this month too. 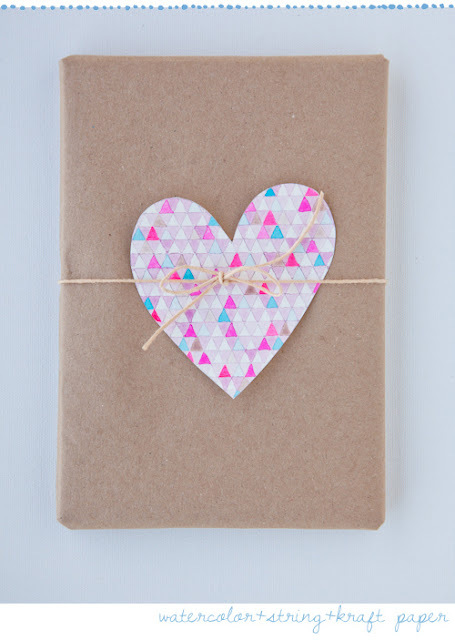 You can check out all of the colorful valentine gift wrap ideasover at Decor8.